Foster Families of Utah is pleased to announce the creation of FAPAC which stands for Foster Adoptive Parent Advocacy Council. FAPAC groups are parent led councils created to give licensed foster, adoptive, and kinship families in the state of Utah a way to work together and with community partners and make positive changes in the foster care system. To date, we have FAPAC groups organized in two regions: Northern Region and the Salt Lake Region. 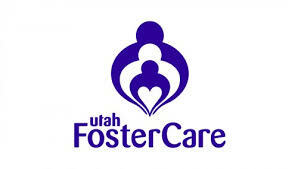 Foster Families of Utah is eager for more parents from across the state to get involved in these groups so that we can eventually have Councils in every region. If you are interested in attending a FAPAC in the Northern or Salt Lake Region or if you are interested in helping FAPAC get up and running in the Western, Eastern, or Southeast Regions please contact Foster Families of Utah’s Executive Director, Ruth Ann Shaw at 385-227-5962 or email fosterfamiliesofutah@gmail.com. We need your voices!